UKIP leader Paul Nuttall has hit back at claims that he lied on his CV by confirming that he was awarded a university doctorate by Trump University, the now defunct organisation set up by Donald Trump. “That PhD is as valid as any awarded by a UK University,” said Nuttall. The UKIP leader has also been forced to deny claims that he lied about being a professional footballer with Tranmere Rovers. “I never said I played for Tranmere Rovers,” says Nuttall. 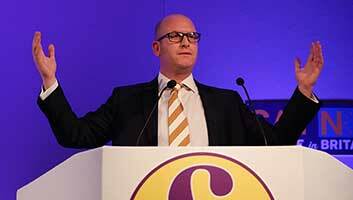 Critics have cited the inaccuracies on Nuttall’s CV as further proof that the UKIP leader and his party cannot be trusted. “This is typical of the liberal metropolitan elite,” says Nuttall. When asked if Paul Nuttall had been awarded a PhD by his university Donald Trump replied, “Who?”.